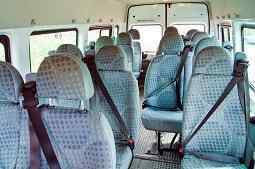 Our Milton Keynes Minibus hire has been serving clients throughout this city for a long time. We are known for quality service and that has helped our business to expand more and more each year. A large percentage of our business comes from repeat clients, who return to us whenever they need reliable transportation in the area. We can help with any type of trip that you are planning. Whether you want to head out to the park with friends for a day or are looking forward to spending quality time at a restaurant with members of your local football club, we can help. We take the hassle out of transporting large groups of people from one location to another. Whenever you need us, we are there for you. We handle a wide range of events, including graduation trips, church picnics and sports competitions. We can help you get your team safely to any location you chose, whether it’s a football stadium or a hotel. Each of our drivers is experienced and has been helping clients attend business conferences and corporate seminars for a long time. They always arrive when they say they will and return promptly to pick you up after your event is over. We know how to help you accomplish your goals. Visit our website at to learn more about our company and our mission. Punctuality is very important to us. we also plan our routes carefully so that we avoid as many obstacles and delays on the road as possible. Even during peak hours, trust us to find the fastest route to get you to your destination on time. 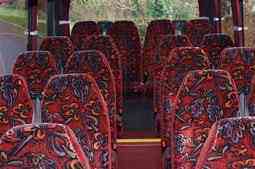 It is easy to hire a minibus for your needs when you visit our website at miltonkeynesminibushire.com. 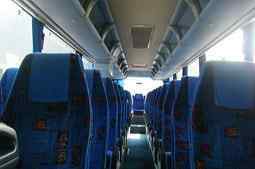 In fact, you can select the size bus that you require, choose your departure and arrival points and enter the correct time or pick up in minutes. We know that you are busy and have designed our system to help you save time. Our booking system is straightforward and if you have any questions or need additional information on any of the places that you will be visiting, our experienced customer service agents can help. We are always looking for ways to give our customers the best value. Each of our packages is designed to give you freedom to choose the option that suits your budget. In addition to that, our clients regularly benefit from special offers and discounts which are catered to their unique needs. Information on all of these is available on our website. If you have any queries about sales or discounts, contact us today. We get back in touch with our clients quickly and look forward to helping you find great solutions for your next trip. Milton Keynes is known for being the largest of the British New Towns. It is an area that has adapted well to change and this has helped it to survive and thrive throughout the years. While there were originally several British New Towns, Milton Keynes is among the last ones remaining. Visitors from across the United Kingdom who are interested in this part of England’s history will find a number of interesting buildings there. Our own drivers will be able to add stories about the town that will help you to understand more about the entire borough. Some visitors to the town come for just a few days and want to explore everything that the area has to offer in terms of the arts. There are a number of popular shows which have played at the local Milton Keynes theatre. If you and your friends mainly wish to attend an event at the theatre, we can pick your group up at any location that is convenient to you and carry you straight there. We can also facilitate trips to local taverns, such as the station tavern. Milton Keynes tours will give you an opportunity to see historic landmarks around the town. This area has a rich heritage and is fun to explore for both adults and children. Our buses can carry you to the starting point for educational trails which help you to learn much more about how the current urban landscape came to be. several heritage groups and a number of museums have come together to form the Milton Keynes heritage association, which helps to preserve historic sites. Bletchley Park is one of the popular attractions in the town. It has several interesting buildings and exhibits which allow you to walk through history with the other members of your group. If you want to dive deeper into the local culture, this is a good place to visit while you are here. The Milton Keynes museum gives a good look at the past and extends its coverage to other parts of England. You are allowed to touch many of the exhibits on heritage open days. Whether you like sports, being outdoors or going out with friends to enjoy popular musicals, there is something available for you. Visit our Milton Keynes Minibus Hire to learn more about all of the destinations that are available to you through our minibus hire in Milton Keynes.